The perfect mug to bring to work with you and show your love for UW-Madison! 16oz Red stainless outer with BPA free plastic liner. Bucky and "Alumni" printed on the side. Hand-wash, great for cold or hot liquids, not suitable for dishwasher, microwave, cooking, or freezing. 16oz stainless steel travel mug with "Wisconsin Alumni" printed in a repeat pattern around the mug. Also features the shield W. Stainless steel liner makes it BPA free and perfect for you daily coffee! Have your morning drink of choice and show off that you're a UW-Madison graduate! 11oz ceramic mug with "University of Wisconsin Alumni" and Bucky printed on the front. Great for Grads! You will be ready to show off your Wisconsin pride with this polo. The red polo features "Wisconsin Alumni" embroidered around the shield W on the left chest. The soft, polyester material makes it so you stay cool all day long. The ribbed collar and three button placket make for a traditional look. Show off your Wisconsin pride with this ¼ zip sweatshirt! The soft and cozy sweatshirt features "Wisconsin Alumni" embroidered around the shield W on the left chest. This super soft fleece is the perfect way to show off your Wisconsin pride. 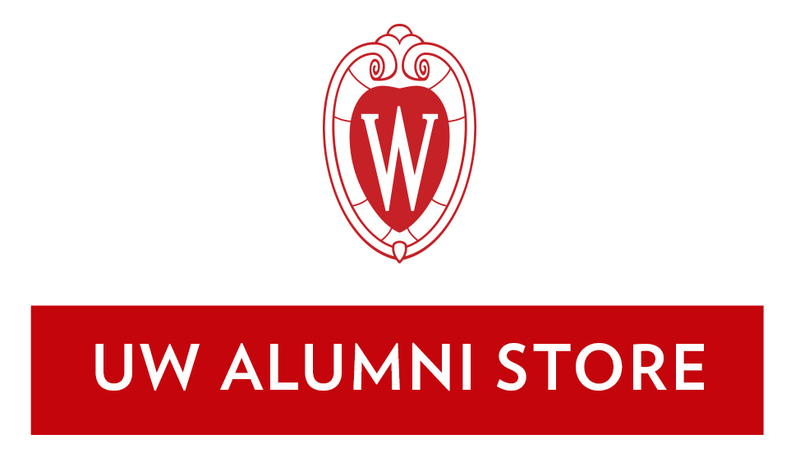 The ¼ fleece features "Wisconsin Alumni" embroidered around the shield W on the left chest.